"This is an easy recipe to make and is so good to eat. My family loves it with slices of apples." Beat yogurt, peanut butter, whipped topping, and cinnamon together by hand in a bowl until well-blended, about 2 minutes. Cover bowl with plastic wrap and chill until cold, about 15 minutes. This dip is fantastic, not too sweet and not too thick. My friend loved it so I gave her the recipe. 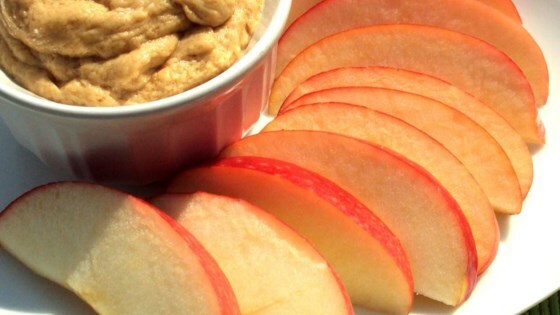 I thought this was a very easy, light, and fluffy fruit dip. I added just a sprinkle of powdered sugar to it to make it slightly sweeter and it was perfect with my sliced apples.